My laptop was at the doctor for a week so just getting around to a little update. This one is media related - I am glad to report that I and my flower farming colleagues have been featuring in the news! The main thing to report is that the Flower Farmers of Ireland website is now live! You will know from my earlier post that we Irish flower farmers are getting organised and after many months of hard work behind the scenes it's great to have a website to point people towards. In particular check out the directory. I find that page a real inspiration - knowing that these people are putting in the hard work all around the country, producing beautiful, seasonal flowers right here in Ireland. Keep an eye in the print media for mentions of Flower Farmers of Ireland. We will be getting active as an association in the summer months but already Fionnuala Fallon (Irish Times) and Jane Powers (Sunday Times) have given us a namecheck. And please tell your flower buying friends about us! In the local media here in West Cork I was really happy to be featured in the March edition of the West Cork People. You can find the article here. This has led to me writing a column for the West Cork People which is called Diary of a Flower Farmer. It will appear four times a year to mark each season. I'm delighted to have a presence in a local publication that I really enjoy reading. Lastly let me point you towards a lovely blog post by Dasha Caffrey, the photographer for a wedding I did the flowers for last September. Dasha is also a flower grower and connoiseur of all things floral so I was delighted to hear she was going to be photographing this wedding. From a selfish point of view its great to get access to some top quality photos of my work but it's also lovely to see how the happy day went. 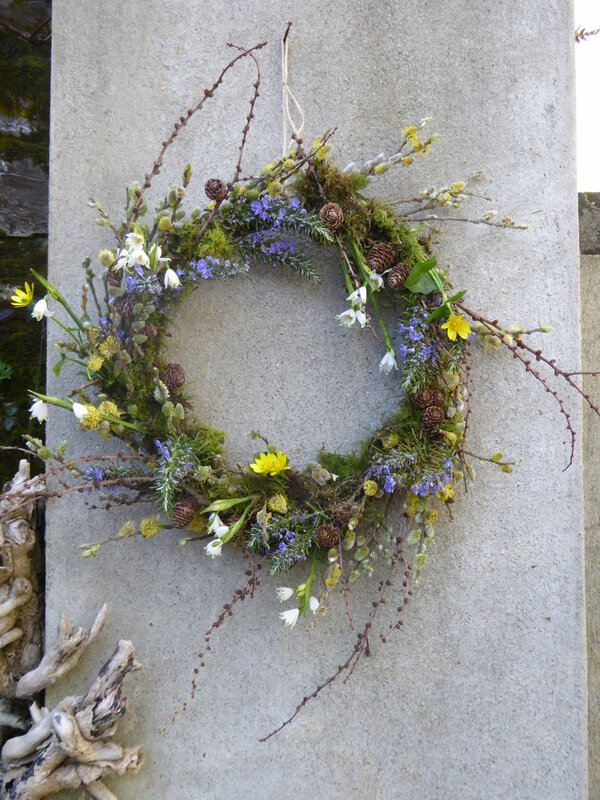 The photo at the top of this post is of an Easter wreath I made...seems like a long time ago already!